The $300 bln U.S. public-pension manager is weighing a reduction in the 7.5 pct annual gain it assumes it will make on investments. The move would squeeze public budgets and employees but help secure funding for retirees. If CalPERS can get a bit more real, others will follow. The board of the California Public Employees' Retirement System is due to meet on Dec. 19-21. On Dec. 20, its finance and administration committee will consider reducing the plan's 7.5 percent long-term investment-return assumption by 0.25 or 0.5 percentage points. The underfunded plan returned just 0.61 percent in the 12 months ended June 30. 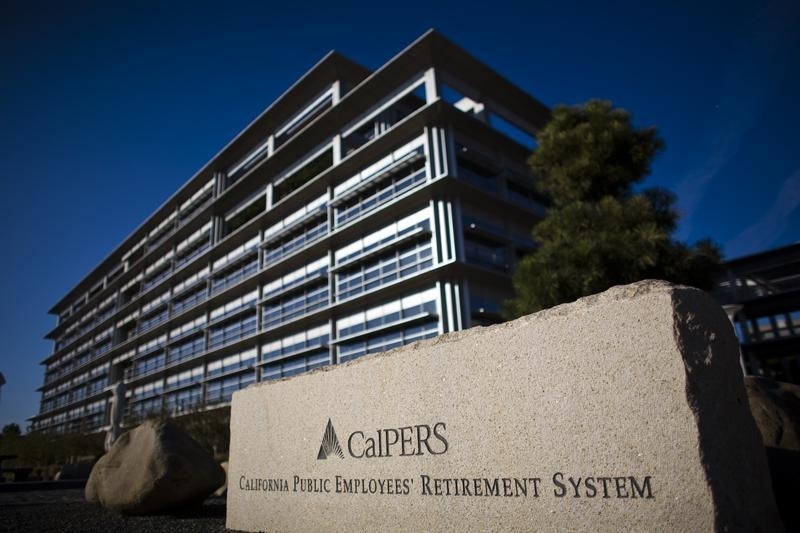 With $300 billion in assets, CalPERS is a bellwether for U.S. public-pension funds.